Heinrich Hoffmann was born on 8 March 1913 at Worms in Rhein. A Reservist, Hoffmann learned to fly pre-war. At the outbreak of World War 2, Hoffmann was called up. On 18 May 1940, Hoffmann was posted to JG 77. Unteroffizier Hoffmann was assigned to 3./JG 77. After 147 combat missions over England, Hoffmann claimed his first victory on 7 September 1940, when he shot down a RAF Spitfire fighter.  On 21 November 1940, I./JG 77 was redesignated IV./JG 51. Hoffmann achieved considerable success during Operation Barbarossa, the invasion of Russia, serving with 12./JG 51. In July 1941, Feldwebel Hoffmann claimed 20 victories, including his 10th victory on 4 July and his 20th on 16 July. In August he claimed 19 victories, including six enemy aircraft shot down over the Smolensk-Roslavl area on 2 August to record his 28th through 33rd victories, three enemy aircraft shot down on 9 August (35-37), his 40th victory on 12 August and a further three enemy aircraft shot down on 22 August (44-46). During this period, he often flew as Rottenflieger to Heinz Bär (221 victories, RK-S). 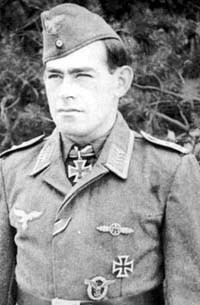 Hoffmann was awarded the Ritterkreuz for 40 victories. He also claimed 3 locomotives and 10 vehicles destroyed on ground attack missions. In September, Hoffmann claimed 16 victories, including four victories on 2 September (47-50) and a further five on 16 September (56-60). On 3 October 1941, Hoffmann was reported missing in Bf 109 F-2 (W.Nr. 12 876) “Brown 2” following aerial combat with Russian Il-2 Sturmovik ground-attack aircraft near Shatalovo. He was, at the time, one of the highest scoring aces of JG 51. He was posthumously awarded the Eichenlaub (Nr 36), the first soldier of non-commissioned rank so honoured and the first soldier to receive the award posthumously. Heinrich Hoffman was credited with 63 aerial victories in 261 missions.